When shopping for Christmas present, Denver man Igor Baksht bought a PS4 bundle from Walmart and almost ended up getting scammed by the huge corporation – as reported by ABC Detroit. 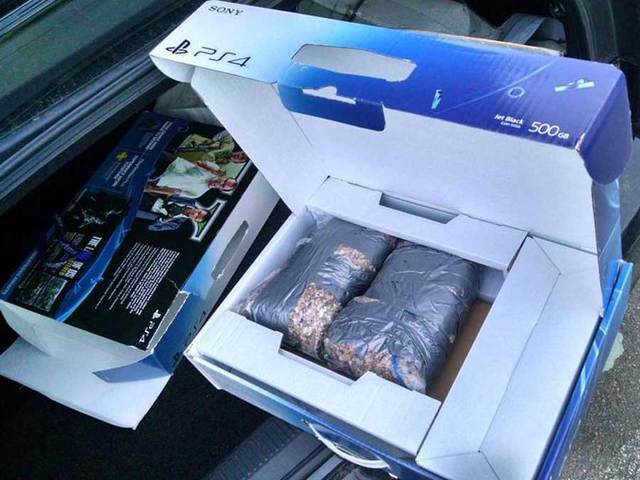 When he opened the PS4 box, a gift for his niece, the man found out that there was no PS4 console inside the box. Instead when he opened the box, the man found two rocks wrapped like a kilo of cocaine each. The next day when Baksht went back to the store when he bought the PS4, Baksht was denied any refunds or returns because Walmart did not have any proof on how those two rocks ended up inside the PS4 box – while the console disappeared. Later on Christmas Eve night, the manager of the store called Baksht and give him a full refund. This this is not as rare as might think. A similar situation happened last December on a Florida Walmart when a man bought an iPad mini and instead received a box full of printing papers.